Hand carved latticework style shell cameos, 2-pieces set from the class “Marinelife”. Carp with Lily pad Set Cameos from the class “Marinelife”. 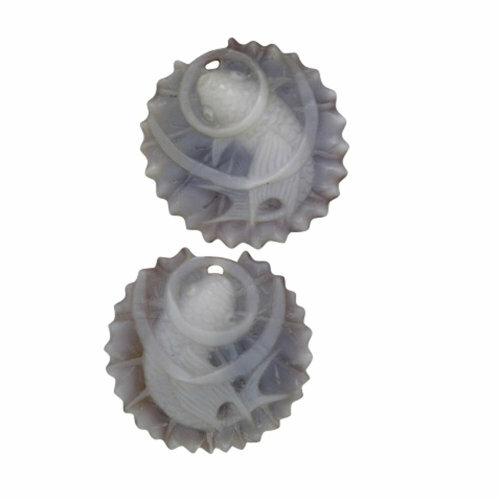 A 23 mm hand carved latticework style shell cameo, 2 pieces set. Artist signed. Registry code 2511/2512. Sold with a Certificate of Authenticity. Eco-Friendly. Fair trade.